By default show navigation bar button on your OnePlus 6 Oxygen OS. You can enable navigation gestures on OnePlus 6 to replace navigation bar in your device. Also add a button to show or hide navigation bar on OnePlus 6 Oreo 8.1 device. Use buttons settings to enable gesture navigation on OnePlus 6 phone. In other OnePlus 6 Gestures, you can use Fingerprint Gestures to take photo, three finger screenshot, music control, flip to mute and more. Google’s upcoming OS android P Gesture navigation controls support. Follow below given step by step process to enable navigation gestures on OnePlus 6 Oxygen OS. Check out below given settings and choose navigation bar settings you want to set in your OnePlus 6 Oreo 8.1 device. Here you can see Navigation bar and gestures, swap buttons, power button twice for camera, home button, recents button and back button settings. You can see below given three OnePlus 6 navigation bar settings. By default selected this option. So always show navigation bar button in your OnePlus 6 device. If you want to add button to navigation bar, enable this option in your device. It will add a button at bottom left side corner. 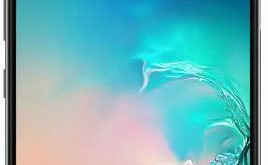 After add a button in OnePlus 6 notification bar, you can show or hide the navigation bar. 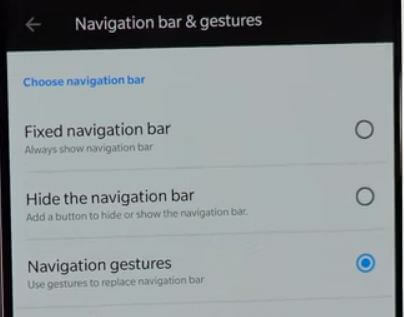 If you want to use gesture instead of navigation bar buttons, select this option. Here you can see Introduce screen for how to use home, back and recent app button using this OnePlus 6 navigation gestures. Recent apps: Swipe up from the bottom center of the screen and wait for few seconds. Now you’ll see most recently used apps list. You can swap back and recent apps button using OnePlus 6 button settings. Now swap back and recent buttons on OnePlus 6 Oxygen OS. And that’s all. Have you been enable Navigation gestures on OnePlus 6 Oxygen OS? Let us know in the below comment box. Do you know some other useful OnePlus 6 tricks? Share with us.